Much more than a battery saver. 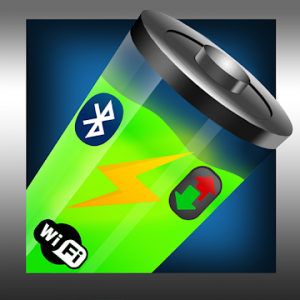 Save Battery manages its wireless networks automatically, allowing you to set each item to your liking. Thanks to this application you will only enable the wireless network that you need, the rest will remain off. Save Battery turns on the WiFi and scan some WiFi network known and automatically connects if its possible, and when it loses the signal, it turns off the WiFi. While this action is running, it manages mobile data so that if you have WiFi connection these go out and vice versa. Moreover Battery Save automatically manages the wireless like the Bluetooth, allowing you to take it off until you find a previously paired, as might be the car Parrot device. In the Settings section of WiFi you can choose the time you want to find a known network, in the case that is not, an alert displays / notification will inform us of those networks currently available. With this notification we can connect manually to an unknown WiFi network. All elements that manages Save Battery are configurable and adaptable to your taste. It offers a service contact with the development team for support and suggestions.